Comedy Of Chicago: Ink Up Stand Up Competition! Ink Up Stand Up Competition! 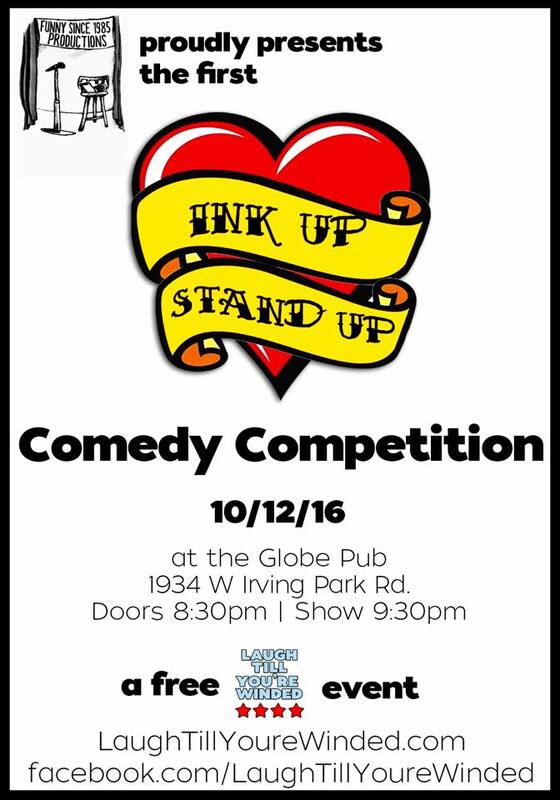 Support your local comedians tonight at the Ink Up Stand Up competition at The Globe Pub in Chicago with your host Darius Kennedy. Come see fourteen top local comics compete for a chance at a trip to Hollywood! No cover charge. First prize, airfare to LA to preform at the world famous Comedy Store in Hollywood on a Mello Comedic show. Second prize is a week at Riddles Comedy Club. Third prize is a spot on one of our Ink Up Stand Up showcases. at 1934 W. Irving Park Rd.